I read without surprise Tesco’s figures for food waste that were released earlier this week. I find it interesting that it can sometimes appear as though our current cultural attitudes to waste have evolved since rationing ended in 1954, some years after the war. During the war it was considered inappropriate to waste anything, lighting, fuel, heat, food, clothing… and for very good reason… there wasn’t enough to go around. In 1940, food waste became an offence that could be punished with imprisonment. The culture for ’make do and mend’ prevailed. We learnt to repair things ourselves, to make or grow things for ourselves and to be grateful for not very much at all. But whilst it’s tempting to view the end of rationing as being the beginning of our profligacy, waste had been a problem well before that. In fact the British Government was launching campaigns to encourage us not to waste food from as early as 1915. Of course, the Second World War brought U-boats patrolling British waters and attacking the Merchant Navy, which severely limited supplies to Britain. Nothing like a war to focus the mind. Every day the newspapers regale us with tales of famine around the world, and now, in almost the same breath we are being told of the wastage of up to two thirds of its fresh food in the UK, as quoted by Tesco. Do I even mention at this point, that the money spent on ice cream in the United States would pay for supplies of fresh water and healthcare to every man, woman and child around the world that does not, at the moment, have access to them? It’s a shrinking world, but, by all accounts, not small enough yet for us to pay too much thought to our neighbours in less fortunate countries than ours. And to say that the food on our plates, or not on our plates, would never be likely to reach those people who really need it anyway, is a weak, not to say fatuous argument when you consider what has happened to that food in order for it to reach us. 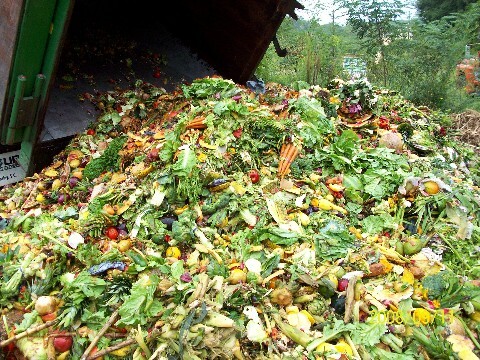 The energy, productivity and fuel that have been consumed in it’s rearing, harvesting, transport, processing, more transport and finally cooking and serving should none of it be wasted by flushing the end result down the waste disposal unit or throwing it into a skip. So, let’s remember that every step forward for a nation is made up of smaller steps taken by each of us as individuals. Let’s start caring about what we waste from minute to minute in our everyday lives. Let’s make a change. Only use what I need and to remember that this world was given to us all to share.